There will be some winter noises in this recording. Some wind, some street plows. It’s just part of living where we do. And after all, recording a podcast is more important to us than waiting for a perfect moment. as is Fog and Whisper (cabling and all that purling no good for my elbow). Dyed the yarn for the Margo Poncho, though! A complicated blue. 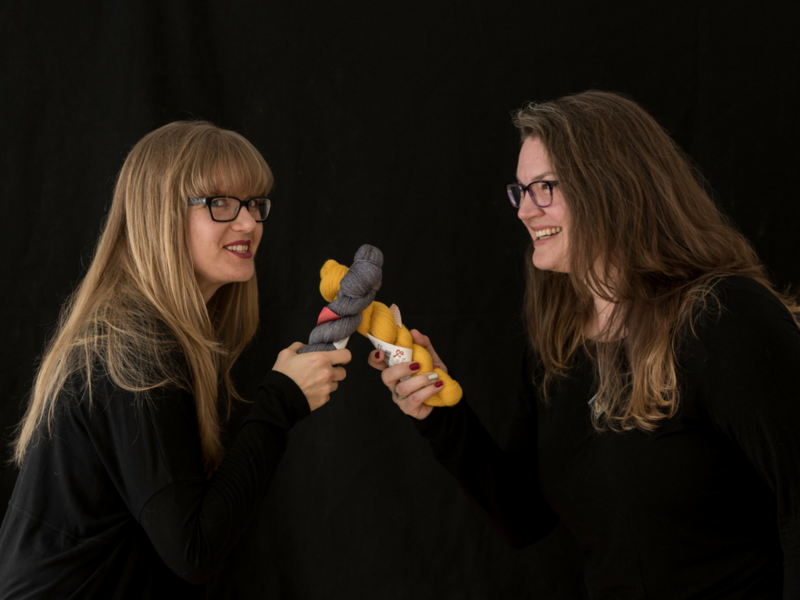 Use #wearableblanketkal so we can find you on social media streams, and we’d love for you to use #imaginedlandscapespodcast on those posts too, so new people can find out about us. Katie: more gifts (10 plus baby sweaters and 1 unintentional gift) and baby sweaters (5) than ever before. Want to see a version of the cool yardage bar graphs we were talking about in Ravelry? Here’s Katie’s. Sarah can’t pick hers. Center. Invest. Fundamentals. Purpose. Foundation. Loyal.These remind me of what I want, but no joy, no zest to them. Stash goals? Yarn bank? 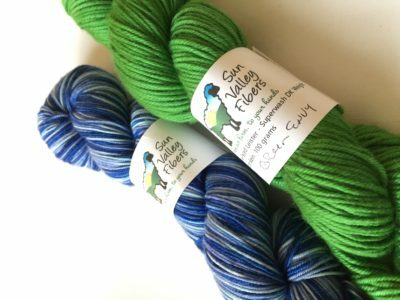 Certain yarn to buy or knit with? Katie: Continue to be mindful about what enters my stash. Try to buy less. Sarah: not interested in rules right now. Luna isn’t into that kind of thing. Katie: Could be fun for socks, since my sock yarn stash is big. This is dependent on me continuing to knit socks, though…. Katie: Make the CustomFit pattern I bought. Make a Wollmeise sweater (Make a Wish). Finish the socks for Kyle and maybe start another pair. Sarah: Knit more! It makes me happy. Katie: Don’t eff up my elbow more! Take breaks. Start using a timer. Sarah: Don’t plan too far in advance. I don’t need to be locked in.